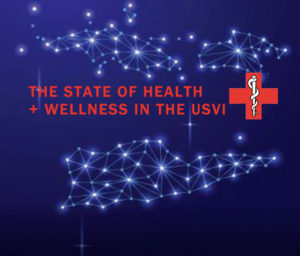 This is the first article in a Source series about the status of health care in the Virgin Islands. The patient presents with multiple conditions. He is malnourished, for one thing, and parts of him have atrophied. Some organs may be compromised. Most obviously, he has been badly battered recently and is still dealing with bruises, abrasions and broken bones. But he has a solid constitution and strong will and is continuing to work. Like the mythical patient, the territory’s health system is facing challenges on many fronts. Before September 2017, there were concerns about the lack of medical providers in some specialties, a large part of the population was without health insurance, there were insufficient facilities and programs for people suffering with mental illness, and chronic staffing shortages, reduced funding and mounting debt plagued both of the two V.I. hospitals as well as the Health Department. Then two category five hurricanes ripped through the islands, and suddenly there was a more immediate need: mending the physical structure, the hospitals, clinics, offices, and health centers that were so badly damaged they were rendered unusable for many months. 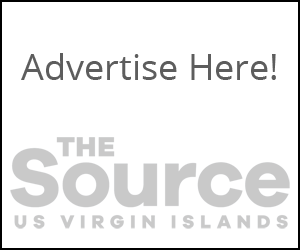 In the coming weeks, the Source will publish a series of articles examining health care in the Virgin Islands, including a look at the most common medical issues effecting residents, treatments and services available to them, efforts to protect the public health, and private and public health care options. 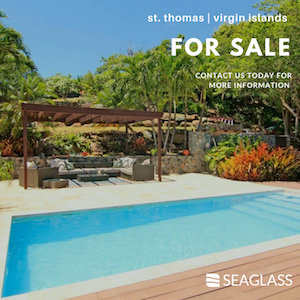 An underlying factor in the quality of health care in the U.S. Virgin Islands is the territory’s high rate of poverty. A Henry J. Kaiser Family Foundation fact sheet published in December 2017, based on information gathered before the hurricanes, shows 22 percent of the V.I. population living below the national poverty line, in comparison with a 14 percent national average. 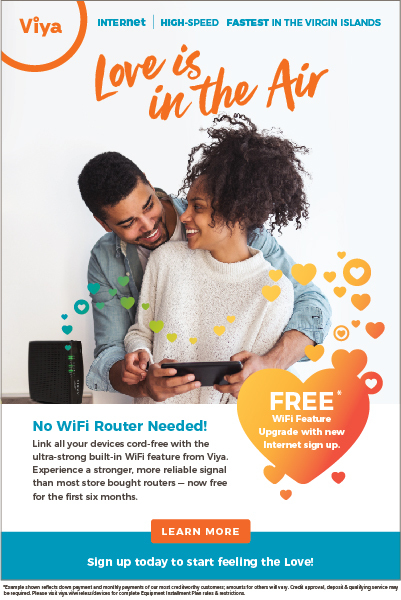 The V.I. unemployment rate was 13 percent, compared with a national average of 5 percent. 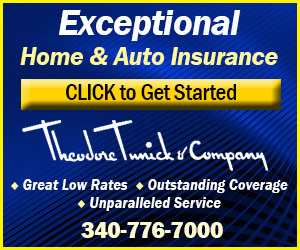 And the median household income in the territory was $37,254 compared with a national average of $57,617. Unsurprisingly, the contrast in insurance coverage rates mirrored that of poverty levels. Kaiser reported 30 percent of V.I. adults did not have health insurance. The national average was 12 percent. A locally produced report noted even greater disparities when children were considered. 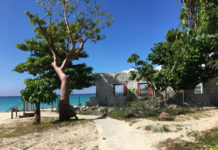 The Community Needs Assessment, a report commissioned by the Community Foundation of the Virgin Islands and authored by local researchers, including some associated with the University of the Virgin Islands, was published in February 2019. It evaluated health, housing, education and social services in the wake of the storms. According to the assessment, 61 percent of V.I. children aged 10 to 19 were uninsured when data was reported in 2016. And a little more than half of children under age 9 – 55 percent – were receiving medical services through Medicaid, meaning they met poverty criteria. Much of the report’s discussion of health services is devoted to the status of the territory’s health facilities. As residents know too well, both hospitals and most adjunct facilities were damaged so badly that they were inoperable for months after the storms. Critical care patients, including those dependent on kidney dialysis, were evacuated. By August 2018, just under a year after the storms, the hospital on St. Thomas had been “stabilized” and was offering a wide range of services, according to testimony that its chief executive officer gave at the Legislature. Although the Community Assessment report says the hospital was still at “reduced capacity,” it notes that Dr. Bernard Wheatley, the Schneider Regional Medical Center CEO, testified it was providing intensive care, neonatal intensive care, behavioral health services, emergency services, cardiology, hemodialysis, medical/surgical services, nutrition services, respiratory services, radiology, pharmacy, laboratory, endocrinology, physical and speech therapy, patient prosthetics and other ancillary services. 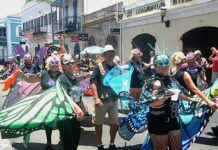 The report says the Juan F. Luis Hospital on St. Croix was functioning only at 50 percent capacity by the end of 2018. And repairs to other facilities throughout the territory seemed slow. 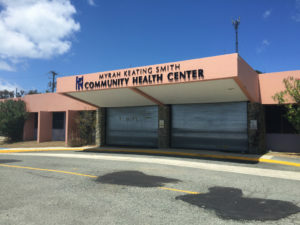 The Myrah Keating Smith clinic on St. John was closed. The Charlotte Kimelman Cancer Institute (the only cancer center in the territory) was closed. The Eldra Schulterbrandt Living Facility (the only residential long-term behavioral care facility in the territory) was closed. 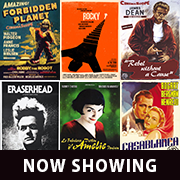 However, since the beginning of the year, there have been numerous announcements of partial re-openings. The situation is changing almost daily. Most notably, a pared-down, modular version of the Myrah Keating Smith clinic was opened in March and one of two buildings of the Schulterbrandt facility was opened early this month. Both hospitals are governed by boards, and while there is considerable coordination with the Health Department, they are not part of it. Schneider Regional Center also operates the cancer center and the Myrah Keating Smith clinic. The Health Department administers the Schulterbrandt facility. 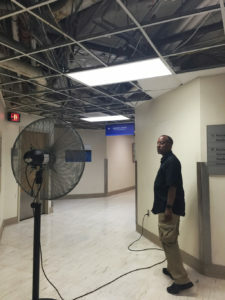 In an interview Friday, Wheatley said FEMA and other federal officials, consultants and engineers were on St. Thomas and St. John last week making final assessments of the damage at the hospital, and at two facilities administered by Schneider Regional Medical Center, the cancer center and the Myrah Keating Smith clinic. FEMA already has determined that there was “no structural damage” to any of the three facilities, meaning all can be renovated rather than rebuilt, Wheatley said. The question remains how much work needs to be done and what will the cost be. Wheatley said the engineers will make their report to federal officials and then FEMA will make its determination about funding; there’s no indication how long that may take. What is his own priority? “Right now, that would be the cancer center,” Wheatley said. The center was handling an average of about 25 patients per month before the hurricanes. The hospital is able to provide cancer patients with IV and chemotherapy, but it cannot provide radiation therapy. Anyone needing radiation must go out of the territory for that. Wheatley noted those patients will also get related services and follow-up off-island. So until the cancer center is substantially repaired and renovated, the territory’s ability to treat cancer patients is severely curtailed. The Health Department announced the reopening of the Schulterbrandt facility on St. Thomas early this month, after work on one of its two building was completed. 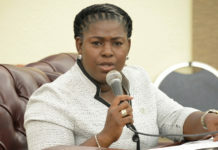 The assistant administrator for the residential facility, Lauris Harley, said the department will soon begin renovating the second building. Currently, it can handle 32 residents; when work is complete, it will be able to serve 64. Historically, there has been a long wait list for the facility. Repeated attempts to update information about the status of the Juan F. Luis Hospital on St. Croix were unsuccessful. Numerous requests for information from CEO Dyma Williams last week went unanswered. However, Williams did appear with other health care officials at a legislative hearing in February to give an update on the status of facilities. At that time, she reported that the Luis hospital had been accepting dialysis patients since December, thanks to modular dialysis trailers, and that four modular operating rooms were expected to be ready soon. She said the hospital’s bed capacity was 46 and will increase to 80 by the end of this summer, when a full modular hospital is projected to be completed. Officials from both hospitals cited problems with mounting debt. Already existing economic woes were exacerbated when the storms lowered the number of services available and caused a drop in the number of patients and an attendant drop in revenues. As an example, the Community Needs Assessment tracked a drop of services at Luis Hospital in the first seven months after the hurricanes (Oct. 1, 2017, to May 31, 2018) as compared with the same period of time a year before. The report found a 56.9 percent decrease in outpatient visits, a 53 percent decrease in outpatient surgery, a 38 percent decrease in inpatient surgery and a 32.6 percent decrease in admissions. More than 200 Luis patients were transferred to facilities outside the territory from Oct. 31, 2017, to Aug. 29, 2018 – 49 for cardiac/cardiology interventions, 14 for pediatric care, 29 for orthopedic surgery, 7 for dialysis and 38 for neurology and related care. Officials at both hospitals also have been dealing with major staffing shortages. 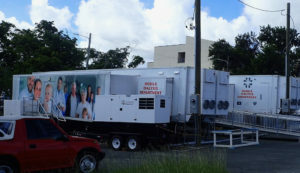 The U.S. Health Resources and Services Administration had designated the territory a Geographic High Needs Professional Shortage Area before the hurricanes hit, thus indicating, as the Community Needs Assessment phrased it, “a shortage of health care providers and services.” In the aftermath of the storms, many health care providers – in private practice and in government – moved out of the islands. 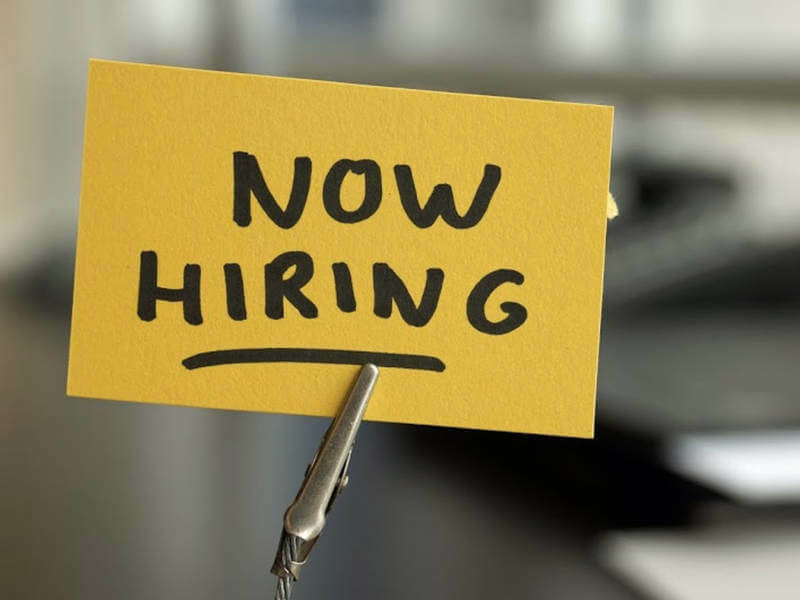 Actual numbers are illusive, but health and hospital officials all indicate the exodus was significant and that while some may have returned and some positions have been filled with new recruits, there remains a serious personnel shortage. “We are still struggling, recruiting nursing staff,” Wheatley said Friday. There is also a need for physicians in some areas, including emergency services and surgery and psychiatry, but the most pressing need is for nurses. Recruitment efforts are varied and include advertisements in professional journals in some states. In her February testimony, Williams also said the Luis Hospital is understaffed. 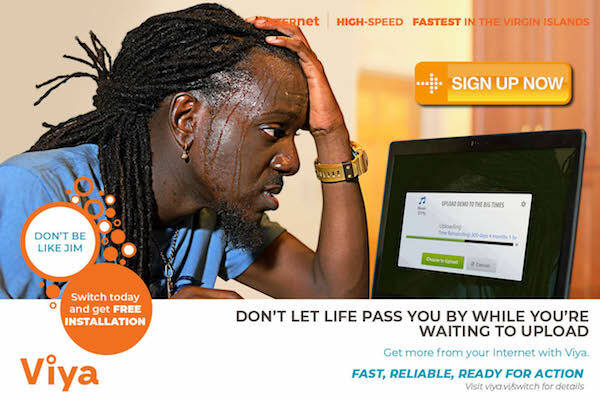 Government health services are supplemented by two private organizations that many residents may assume are public entities but which are not. On St. Croix, Frederiksted Health Care Inc. offers primary care services at three locations, the Ingeborg Nesbitt Clinic in Frederiksted and clinics in Christiansted and Sion Farm, as well as a satellite clinic at Educational Complex high school and a dental care clinic at Golden Rock. Offering primary care to residents of St. John and St. Thomas is the St. Thomas East End Medical Center, Inc. Both are designated as Federally Qualified Health Centers, and both have been steadily expanding in recent years, according to figures published in the Community Needs Assessment. In 2014, the Frederiksted Clinic serviced 7,217 people; in 2015, 8,634; and in 2016, 9,551. The East End Clinic grew from 6,105 patients in 2014, to 6,413 in 2015 and to 7,603 in 2016. Since the hurricanes, when government services were curtailed, the report says the Federally Qualified Health Centers have been taking up much of the slack. Next: protecting against contagious disease. I don’t know what the concern is. The local VI government employees have stellar insurance benefits. Don’t most go to the states to Cleveland Clinic and Johns Hopkins when they need more complex medical attention? As long as they are covered, does anyone else really matter? If the rest of us don’t like the lack of medical insurance (or unaffordable coverage) and lack of quality medical care, then we can go back where we came from (which ironically is where most VI government employees seek medical care). Isn’t that the status quo? No accountability! People in government offices have options. The poor and uninsured are at the mercy of this failing, decrepit, filty hospital. Disposable people. ER moves at a snails pace and people are expected to wait hours for any kind of attention. If elected and appointed government officials have the option to receive off island care, why should they care about children, poor people, immigrants, elderly, and the uninsured. If they don’t have a point of reference, they can never really sympathize, empathize, or give a $h!t about anyone but themselves. We know they are there for the money, perks, prestige and power. They are burning time until their term is up or retirement is an option. Sad situation in these islands. Dangerous and reckless and Unbelievable! On point. Sad but so true. Agreed. And the righteous indignation is justified.